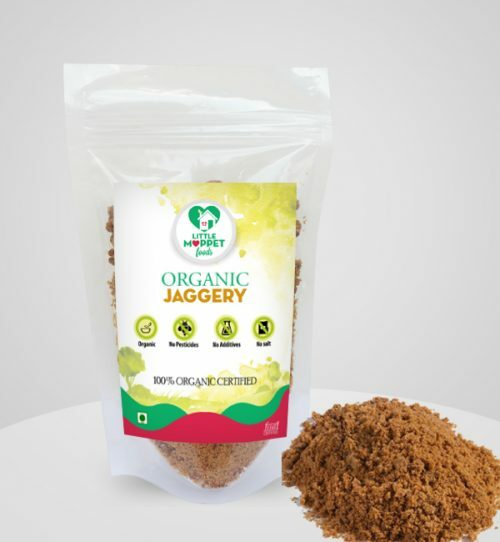 Get the world’s healthiest natural sweetener in a convenient format! 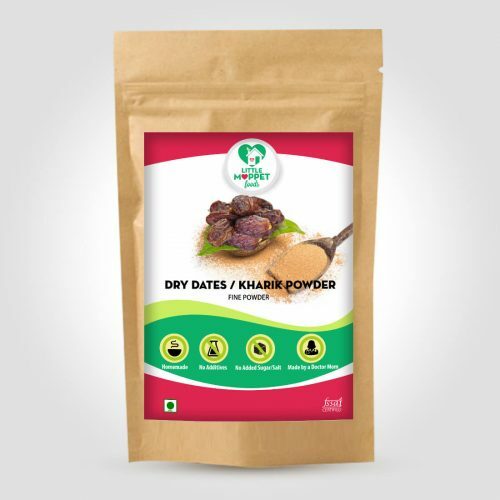 High quality dates are desseded, naturally sun dried and powdered. Made by a Doctor Mom. 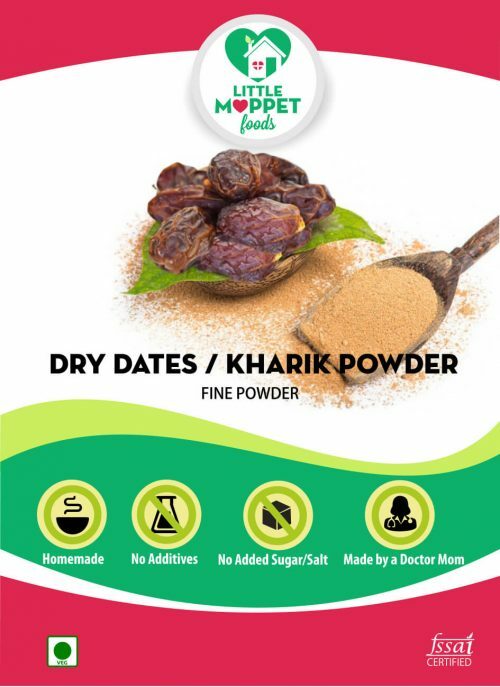 The rich iron content ensures good concentration and good for heart health, the nervous system, bones, muscles, digestion. 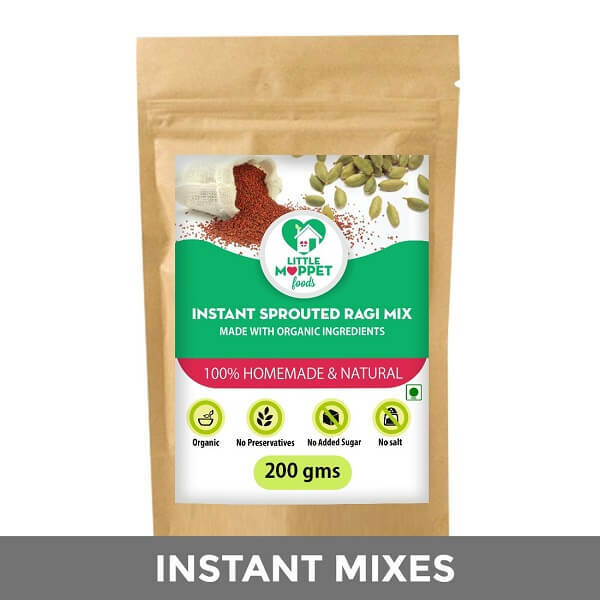 Each pack contains 200 g.
Each pack has 50 g.
Skip the sugar and sweeten your food naturally! 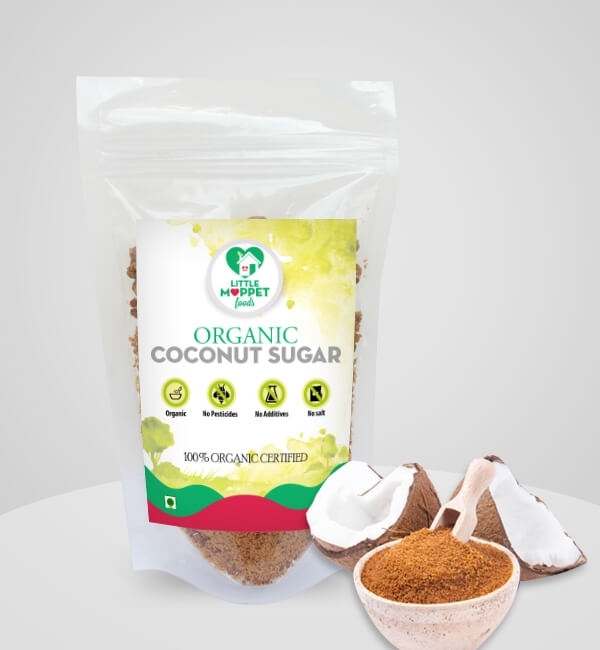 With rising awareness about the ill-effects of excessive sugar in the diet, people have become more cautious about using it in their cooking. However, as Indians, eating bland food isn’t very pleasurable, especially when it comes to festivals! 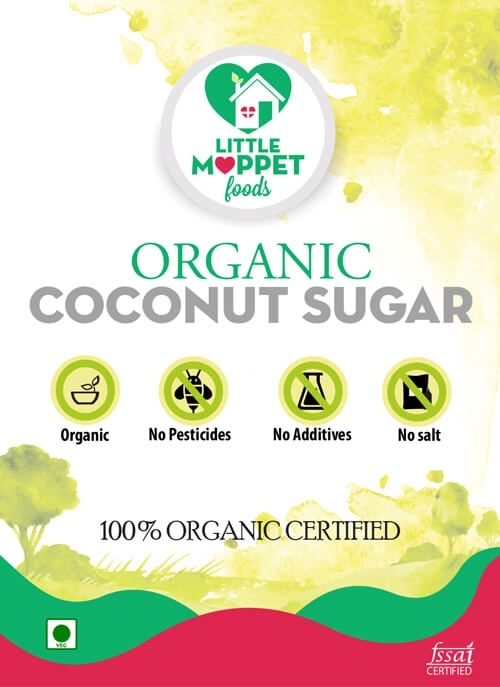 This is where Little Moppet Foods’ Organic Jaggery Powder comes into the picture, as a healthier alternative to sugar. Studies have shown that a child’s taste preferences are set in infancy, and they dictate his lifelong fod habits. 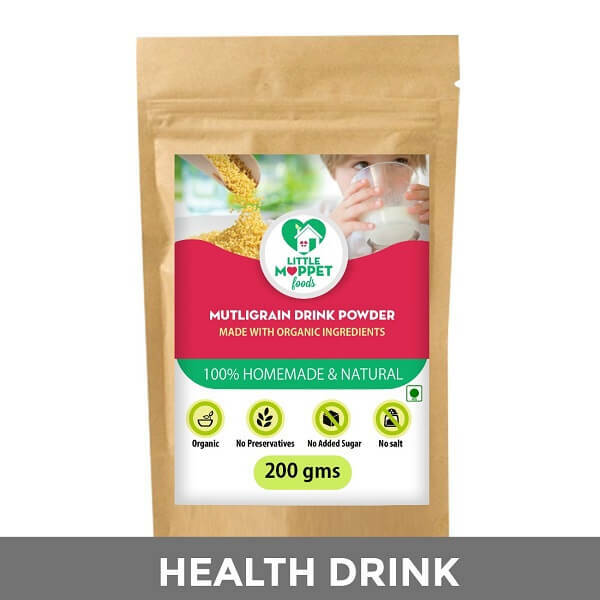 A child who is used to excessive sugar-sweetened food in his first year will have a greater tendency to consume high calorie and artificially sweetened foods all through childhood and well into his adult life. 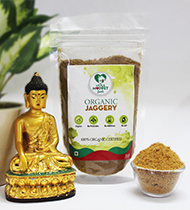 Using jaggery instead of sugar offers a more mellowed taste that is not too sweet, but also adds a lovely flavor to the final dish. Little Moppet Foods’ Organic Jaggery Powder is made without any pesticides or chemical fertilizers. 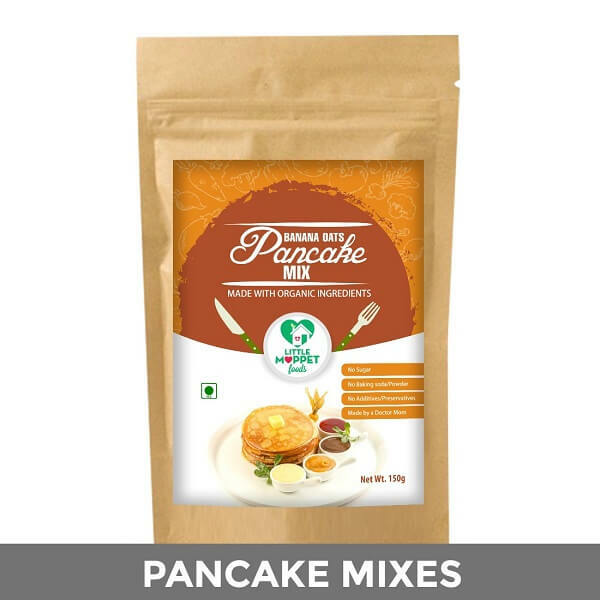 It is also free from preservatives, synthetic colors and artificial flavoring. 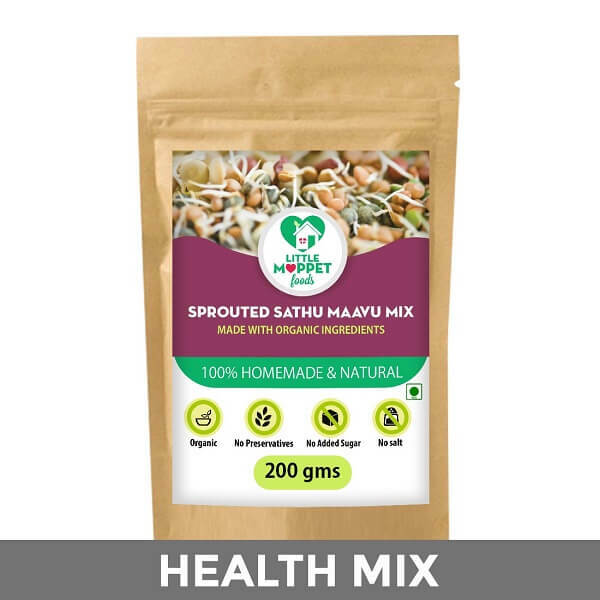 It has zero trans fat and zero saturated fat, making it a great choice for anyone planning a healthy lifestyle. A small amount gives the required sweetness, thus you don’t need as much as sugar.